This free deal has EXPIRED! UPDATE (1/10): Some are still free, while many are not. All free ones EXPIRE TODAY. 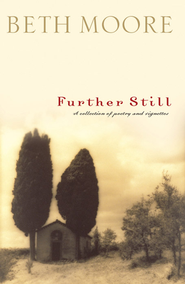 UPDATE (1/4): 4 MORE of Beth’s eBooks are now available for KINDLE. Now ALL 16 below are free on the Kindle! UPDATE (1/3): 6 more of Beth’s eBooks are now available in KINDLE format! 13 are now available in VYRSO format! This is a tremendous giveaway! 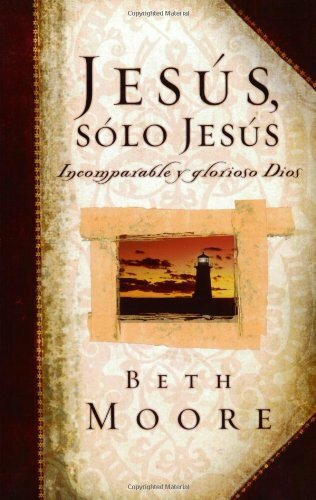 14 FREE eBooks from Beth Moore are in English, and 2 are in Spanish. If you have any Spanish-speaking friends, please share the links to these resources! Would love to have some of your books you really bless me! Go ahead and download whichever you want by clicking the format you would like underneath each book. May the Lord bless you! is there a reason kindle isnt an option? Only 6 of the titles are available in the Kindle format. Thanks for the free downloads! 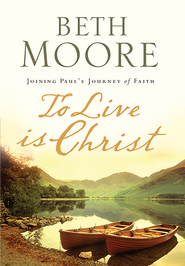 I wanted to let others know ….If you go towards the bottom of the Amazon page (where you download the books), and scroll through the other choices of books …you can find several other free books (from Beth Moore) to download for Kindle …. at least this worked today ….I downloaded 10 free Kindle ebooks from Beth Moore list … Thanks, again! Ha ha… but they are some of the best titles. Thank you for this amazing gift! I am tearfully humbled by it! 10 of them are available in the Kindle format now. I just downloaded them from Amazon. Thank you for the heads-up! I’ve downloaded 15 Kindle titles (there are also 2 additional editions in Spanish). The “menu” above isn’t complete. 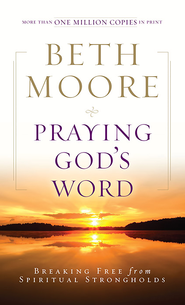 Recommend that people interested in all available titles should go to Amazon, log in to their account, then search for “Beth Moore” in the Books Dept. Sort on price, low to high–the first fifteen titles have $0 cost. Then download whichever titles you’d like. Thank you for the heads-up that a few more of Beth’s eBooks are free for Kindle. We’ve added the links for those above! We serve in a “closed” country and so appreciate the ability to have access to this type of material. Thank you for your ministry in this way!! God bless. I don’t have a smartphone, nook, etc., and I don’t even know what an epub is. As for ibooks, is that a book you cant see, and if so where do you put it. As far as I know, the PDF, is the only format I can use, but don’t see it listed! HELP! You actually don’t need a smartphone, Nook, or Kindle device to read eBooks. Both Amazon Kindle and Barnes & Noble NOOK offer software to view their books on a computer (PC or Mac). To read Amazon Kindle eBooks on a computer, go here: http://www.amazon.com/gp/feature.html/ref=sa_menu_karl?ie=UTF8&docId=1000493771. For NOOK eBooks on a computer, go here: http://www.barnesandnoble.com/u/nook-mobile-apps/379003593. “iBooks” are another format and require the iTunes software from Apple to view. An ePub is an eBook format that is readable by almost all eBook readers except Amazon Kindle. You can download Adobe Digital Editions to read those: http://www.adobe.com/products/digital-editions/download.html. I hope this helps. If you have any further questions, do not hesitate to ask. Thank you so much, we are a very small church, less than 20 people and mostly women. We will really enjoy these!! I don’t have a nook so I downloaded epub and downloaded the books I wanted. It’s super easy. Just to go epub (you can google it) and download. It’s free too. you can download nook or kindle for pc and open them that way. Wish I could load one on my kobo 🙁 It’s a great idea though, I will share this link around, thanks! You can!! Simply go to Kobo’s site, http://store.kobobooks.com/en-us/Search?Query=Beth+Moore, and scroll down through the list to find the free ones. Enjoy! Thank-you so much for these!! I also have a Kobo but I believe it also reads epub. Your ministry by providing these free will be extended beyond your imagining! M<. Thank you so much for these blessings. I, too had the questions about finding format I could read as I don’t have Kindle, iPad, etc. I am happy to confirm that I have downlaoded onto PC, and will check (slowly and quietly!) how to read them on Android, once I find an app. Bless you all – will use in Home Connect Group this year. but cannot be downloaded to reg laptop? Hi, Sharon. I’m just another patron…not from the website or anything. You can download the kindle version to your laptop and then get a free kindle app so you can read them. I did that (and still do) before I got my Kobo. I think there’s a link farther up on this thread but you could google “free kindle app for laptop” or something and probably get it. It works great. (Just a word of caution: I ALWAYS–even with trusted sites–run a quick virus check on all downloads before opening them.) Hope this helps! M <. Sharon: Me again. Just went to Amazon.ca (or .com has it too) and they have the kindle app for computer right on their ebook page. If you are downloading a kindle format from their site, It goes automatically to your laptop kindle app. That’s the one I used. HTH, M <. So why was I just charged 9.99? Sorry to hear that you accidentally purchased an eBook. If you do not want it, request a refund from the site where you purchased the eBook. How do I download for kindle? Oh, I see … not all the books are avail on kindle. Thanks! 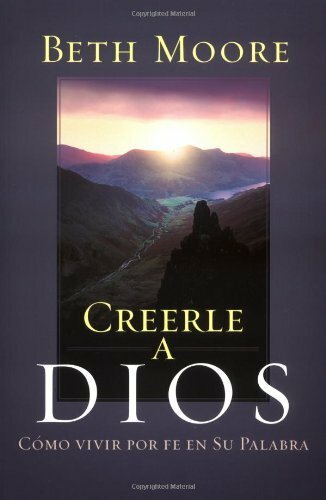 Only 6 of the books are available in the Kindle format (4 in English and 2 in Spanish). There is a Kindle button underneath the books that are available in that format. Click each button to be redirected to Amazon’s site to download those titles. You can also download a trial version of the epub from Microsoft for 30 days to read them on. Thank you so much! Love your ministry! Is this only inside the US? It may be, we are not sure. We live in the U.S., so at this point we are only aware of deals for North America. Some of the deals, however, are available elsewhere. We just have no way of knowing which ones unless someone else tells us. I was able to download them on ibooks from here in the Middle East, no problem. Thanks so much for this. Thank you so much. What a huge blessings and generous gift! God bless you! Thank you. I have grown so much through your bible studies. 14 of the 16 titles here are available in English. Just click the button of your preferred format under each title. Do you live outside the U.S.? I was able to download most of them here in New Zealand. 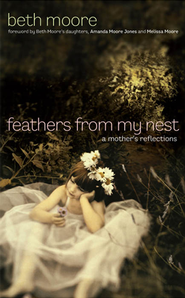 HUGE thank you for this – SUCH an amazing gift … I have started reading “Feathers from my nest” and have been SO encouraged already by it (I’m a recent first time mum). God bless you for these gifts! This is a wonderful blessing! Thank you! wish I could get all of them on my kindle. Thank you for the 4 I got. Yes, we also wish that all of them were available in the Kindle format. Obviously, this is beyond our control. 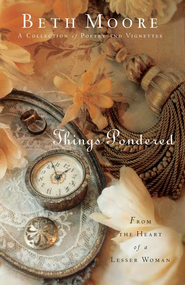 Thank you Beth Moore, I love your books and your teaching. Thank you for sharing! Are you on a PC, Mac, Tablet, or smart phone? We recently updated our site to be much more mobile accessible, but there could still be issues. Please let us know more specifics so we can try to help. Thank you so very much for the free books! Thank you for these free books! What a blessing! Thanks so much for these great FREE resources! How can we receive future notifications of other free resources to share with those who follow our ministry on Facebook? Thanks for asking! On this page if you’ll look to the right, you’ll see that you can follow us on Facebook, Twitter, via RSS, or subscribe via email. Take your pick and enjoy all the free resources! Thank you so much for this tremendous blessing! I would love to have some of these books, having a hard time right now. We’re sorry to hear that. If you provide more details, perhaps we can help you better. Thank you so much for these books!! These will be used for some wonderful Bible study! God bless you all and Happy New Year!! I’m having trouble downloading them from Australia. They want to charge me on iBooks only the amazon ones have worked. Unfortunately, it appears that the iBooks formats for these books are only available for free in the U.S. I didn’t see all the books on the kindle website, I have a kindle on my phone I would love to download the rest. Only 4 of the books are available for Kindle in English. 2 in Spanish. The rest are not free for Kindle. From other visitors, we have gathered that the Kindle versions may be available outside the U.S., but the iBooks versions are not. Thank you! What a blessing, especially for those who have limited funds. Much appreciated! I work as a business manager at detention center. 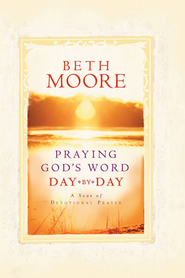 We would love to have this offer of the 15 free Beth Moore Books. Most especially the ones in Spanish. Thanks. I have a nexus 7. Will I be able to download them? You should be able to download them provided you have the correct app or software for the format you choose. Will these work on a Kobo? We are not sure. Does a Kobo read ePubs? If it does, then click the ePub button for each title. Thank you so much for putting these out there. I love Beth’s ministry! Is one of these formats appropriate for Kindle? 4 of these books are available for Kindle in English (2 in Spanish as well). Simply click the Amazon button under those 4 books. I downloaded 5 books, last night, on my Kindle, and could have downloaded more. My memory is that most were available for Kindle, although not all were necessarily in English. I’m only seeing 11 in English. Where are the rest? Great books! What a tremendous blessing! Thank you, so much! May the LORD bless you threefold for your kindness! Thank you so much! What a blessing and a wonderful way to start the new year! 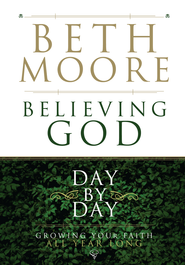 I love Beth Moore and I’m thrilled for these free ebooks! Thank you!! 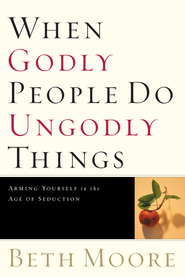 Thank you so much.Will they be putting the book,” when Godly people do ungodly things” on NOOK? I so hope they do!! What a blessing for free Godly books!!! Thank you so much for this wonderful gift! I am using a smartphone and was able to see the 8 books (2 in each vertical row) but am not able to scroll over to see the others. I can see the edge of the books on the next row. Any suggestions? At this point, our best suggestion is to view the page on a PC or Mac. We apologize for the issue you had. If you have a phone tablet or computer you can use multiple apps for your books. Nook has a free app as well as kindle. And the adobe book reader will read most formats. Good luck! Thank you!! I am currently in Germany and have a Kindle Fire and was able to download the epub formatted books through Christianbook.com (I already had an account with them in the States) and then downloaded their CBDreader for Kindle. A few extra steps, but it works great! Maybe this will work for others. Have a blessed day! We apologize for this issue. Our best fix at this point is to encourage you to view this page on a PC or Mac. Thank you so much! I am Canadian and was able to get almost all of them for free through iBooks. Thank you so much. This is truly a blessing to be able to download these books to my Kindle. I teach a First Place For Health Christian weight loss class and so am familiar with this author. Blessings. HUGE blessing…thank you. I’d downloaded one book and wanted others but couldn’t afford. I’ve taken many of the video classes but wanted reading material. THANK YOU!!! So very appreciative. All of the books we linked to on this page should be free. Thank you so much for these wonderful books by Beth Moore. I’ve read and done quite a few of her bible studies and each one has been a blessing in my life!! I would love to download these on my Samsung Galaxy S4. But don’t see any of the download able ways of doing it. Any suggestions? Check to see if there are eBook reader apps available for your device (Kindle app, Nook app, etc.). You don’t need the physical eReaders to read books in their format. Will the ebooks expire after 10th Jan? If you are using iBook, you can change the settings in your Apple ID account so that you can point to US store. Click on Apple ID link at bottom of Apple store. We apologize for this issue. The best fix for right now is to view the page on a PC or Mac. Read online Epub can be read on any device. For the Kindle you have to do a few simple conversion steps. 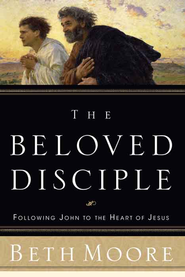 When you click the epub link it takes you to christianbook.com. The information and link for conversion was on that website. 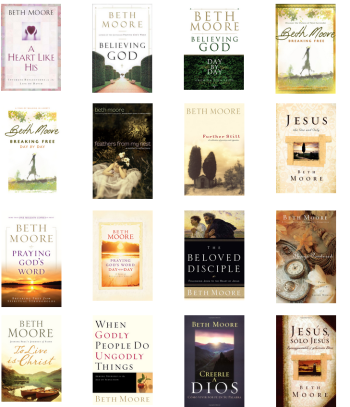 I used the kindle store on my phone and found 10 free Beth Moore titles. Thank you so much! Thank you!! Such a blessing!! We apologize for this issue. The best fix for it right now is to view the page on a PC or Mac. Believing God and Breaking Free are saying that they cost $10.99.??? I humbly Thank you Beth Moore for this wonderful opportunity. I have been a paying customer for the past 2 years who has benefited greatly from your work, esp Living Free study, Mercy Triumphs Study, the book Get out of that Pit, and Praying God’s Word. You have a huge following in Henderson, KY and Evansville IN where your name comes up frequently in some special, special circles I am in. A friend who sponsored me for my Walk to Emmaus pilgrimage in November gave me Whispers of Hope, which I can’t wait to get started on. But first, I have the 3 final weeks of BREAKING FREE to complete! I downloaded some of these others offered and shared the word with all my facebook friends, some of whom can especially use free materials such as these. You are a blessing! Come to the Ford Center in Evansville, IN and we will come see you. We thank God for his many gifts and you are one of them. Happy New Year! Love Beth Moore! FYI: When I did an author search on the Amazon Kindle book site, all the books listed above appeared and they were free as well. Thanks! THANK YOU SO MUCH FOR THIS INCREDIBLE BLESSING! Thank you what an amazing blessing. If you are having trouble viewing on your phone, I turned my phone sideways and could see all 4 books on each line. I could only see two as well when holding it normally. Thanks for the free books to download…. Which site is requesting that you do this? Your experience with Vyrso asking for a credit card is not unique. we have experienced it too. Personally, I (Dan) have download dozens of free eBooks from Vyrso’s site and have never been charged anything. Vyrso is owned by the parent company Logos Bible Software. Logos is the world’s largest Bible software company, being reputable and a multi-million dollar business. I have profited (and continue to profit) greatly from their Bible software and free Vyrso books! The eBooks you purchase for free from Vyrso will not disappear on the expiration date. Unfortunately, at that point no one may purchase the title for free. Thank you so very much for the free Kindle books! I was able to download all of the books from Amazon for free, not just the six! I have an iPhone and won’t scroll to the right either, but if you go to the iBooks app an search Beth Moore, the free ones come up (if in the US That is) so a way to get around the scrolling issue. Don’t know about other apps or devices. Sorry about the scrolling issue. Others have reported the same issue, and at this point, we are unsure how to fix this issue. If you visit this post on a PC or Mac, you should be able to see all of the links listed here. By clicking a button below each book cover that corresponds to the format you desire. Wanted to download A Heart Like His and it says the price is $12.16. You show it here that it’s free. Please advise. It must be a different book that I was looking at. The one has a heart on it and is just titled “A Heart Like His” while the FREE one is called “A Heart Like His: Intimate Reflections on the Life of David”. Sorry to have bothered you. 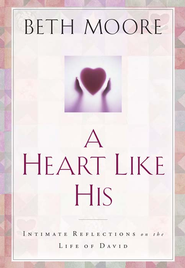 Yeah, the link above for “A Heart Like His” is the correct one for the FREE Kindle version. Thank you so much! Blessings! Thank you very much for the open access to these amazing books. May God reward you according to His riches. Thank you for allowing the free download of these books. I look forward to reading them. Thank you so much! Blessings and sharing for my friends in latin America. May God continue to bless you and all you do! So grateful for these free books!! Thank you for this beautiful gift! God bless you! Thank you. I as well as other members in our family were able to have these blessings. Many thanks for such a wonderful gift of these free books! I love Beth Moore’s writing!! My income would never allow me to purchase these since I cannot eat them!! ;). God bless you for this amazing opportunity for spiritual growth!!! Thank you Beth Moore for sharing this wonderful gift of books and your wonderful gift of teaching His word. I have enjoyed you for years. Happy New Year and may it be blessed above and beyond. I just got 4 of Beth Moore’s books, but I cannot download them. My internet is a little slow but I can download a video from facebook with not much problem, but everytime I try to even read the book online on Cloud, it says error. I did download Amazon Kindle onto my computer. ANy ideas for help? We are not sure how to fix the issue you are having. Perhaps give it some time and maybe Amazon will fix whatever issue there is with their website. Hopefully, you will be able to read your downloaded books very soon. Can not seem to be able to download the books. What do I need to do? Thanks and greatly appreciate this offer – just hope I can take advantage of it. Simply click the button of the format you desire below each book’s cover. Thank you so much from the bottom of my happy heart. Sweet surprise !!! HI, thank you so much for these. Just got a tablet for Christmas so keen to get my e book library going. Little glitch though, am downloading in the kindle app and not all of them are free- they are charging $1. which is a bargain but not if you think it supposed be free 😉 Am I doing something wrong? Thank you so much for these wonderful books!! What a blessing! Thank you so very much! I am a member of a tiny little church, so these will be enjoyed so very, very much! Thank you so much for these wonderful resources! They will be put to good use. Thank you, thank you, thank you!!!!! I’m so excited to dig into these books!!!!! Yay!!!! 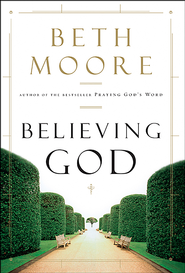 Sorry, all of the free Beth Moore eBook offers have expired. Thank you–I find these books to be so helpful–thank you for the wonderful gift! Trying to get a few of the books and they are no longer saying free. It is 10pm cst jan 9th. It appears that some of the retailers ended their sales early. It appears that some of the retailers ended their sales early. 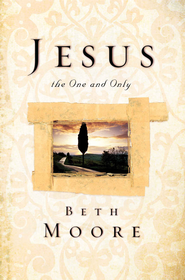 From today on, all of the free Beth Moore eBook offers are expired. If you accidentally purchased an eBook, and if you do not want it, request a refund from the site where you purchased the eBook. When I click on the iBook version they aren’t free. Do we still have until 1/10 or did the offer expire? 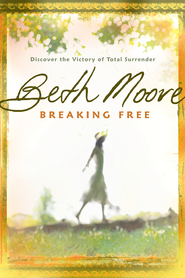 All of the free Beth Moore eBook offers have expired. Good morning, Thanks for this great opportunity! I noticed the deal is over on 1/10(today), but the iBooks are coming up full price. Is the deal not available through today? Yayy! The books are ALL still FREE on Kindle. Thanks again! It appears that some retailers ended the sale early. 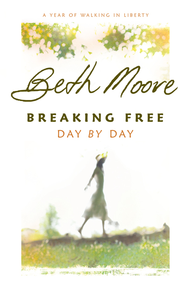 From today on, all of the free Beth Moore eBook offers are expired. I got on today (1/10/2014) to download thr free Beth Moore books and none of them are free anymore. Didn’t the promotion go through today? Did I totally miss out? Please let me know if there is any way I can still get these. Thanks!! Thanks for this…I thought I had downloaded them and find they are not on my device…argh. I don’t know what to do so if you have ideas…I am listening. Thanks for providing these for those who got them. Try going to the site where you purchased them, finding your My Account page, and see if you can send the books you ordered to your device. sorry i missed it. i don’t have anything beth moore. working with no chance til now to browse on web. Any chance on a repeat of this offer?